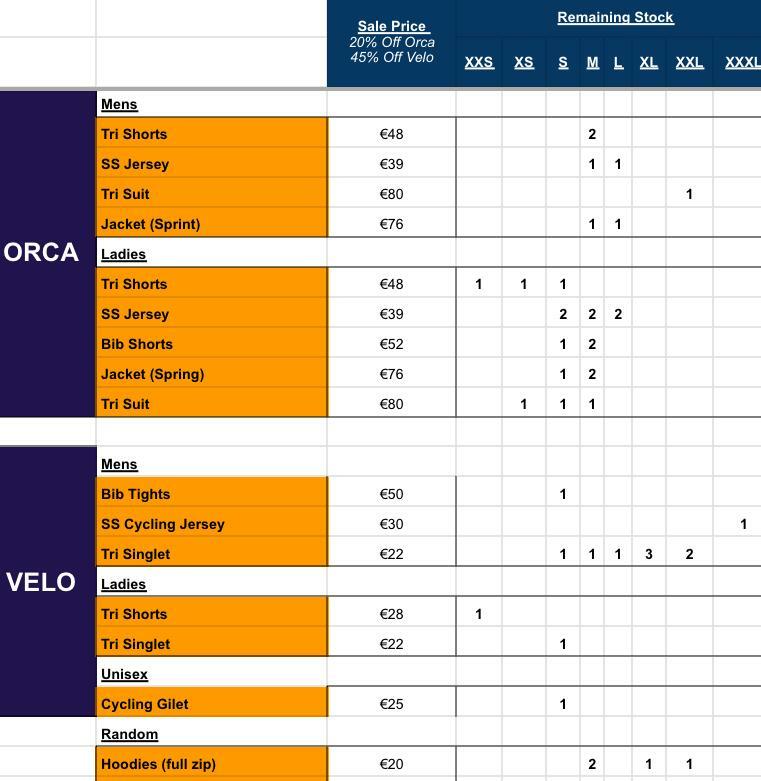 Jan 2019: We have some older gear from Velo Revolution & Orca which is now heavily discounted. These are in club colors and you’ll see members wearing this gear during training etc. There’s limited stock remaining, but we need to offload prior to switching to our new vendor. Contact Peter Blissett to arrange to view, try on or purchase. Don’t delay, bag yourself a bargain!